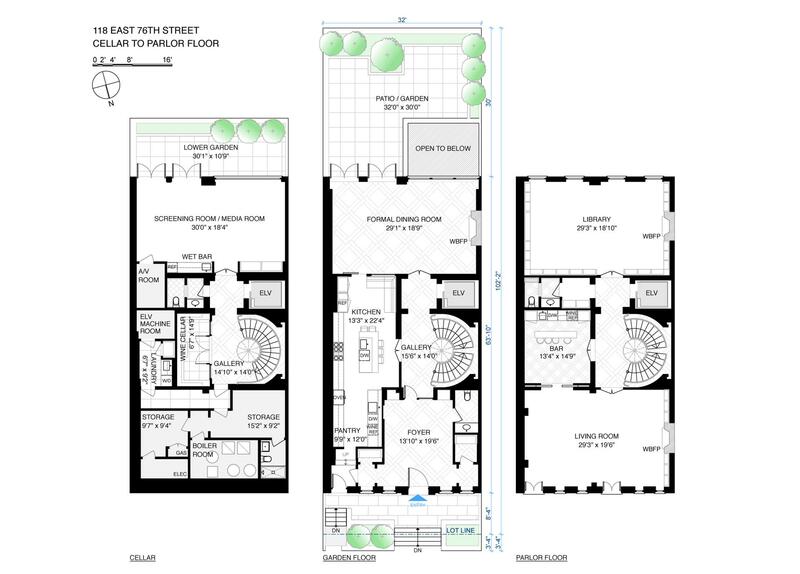 New construction of magnificent 32' wide 13,000 s/f mansion in the heart of the Upper East Side. Fully reimagined with the highest level of finishes and technology, the home is truly spectacular. A mix of comfortable modernism, the home features countless artistic stone, metal and wood flourishes. The townhouse is designed around a stunning central staircase that spans its 6 levels and is topped by a skylight flooding the interiors with natural light. There is also a large elevator accessible from every level. 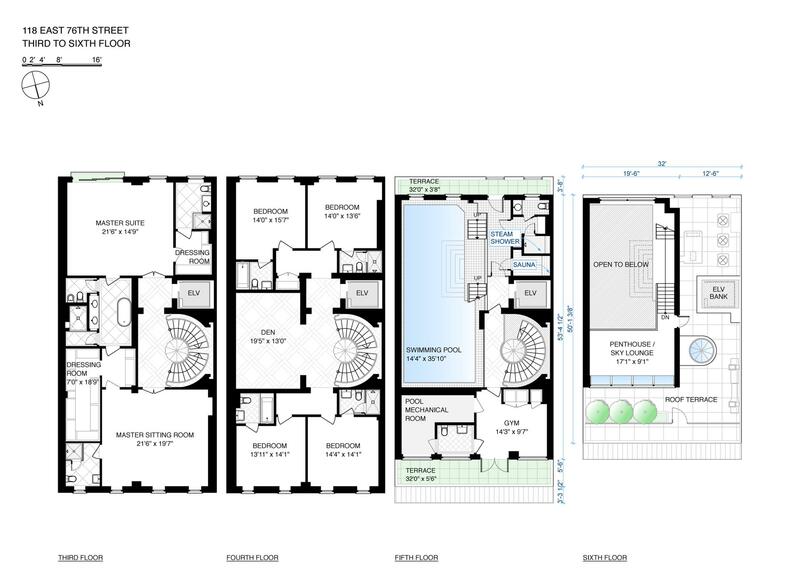 The main floor boasts a grand formal entry to welcome guests, a huge chef's kitchen and 550 s/f formal dining room. The parlor level features a formal living room, cigar bar and beautifully-milled library. Beyond luxurious, the master suite encompasses the entire 3rd floor with the bedroom, sitting room, dressing rooms and three full baths. Four additional en-suite bedrooms, a large limestone-clad fully landscaped courtyard and oversized family room provide an abundance of space. Finally, and perhaps most spectacularly, is the 36' indoor pool on the top floor of the home. Covered in beautiful tile mosaic, the sun flooded spa level houses the glass enclosed gym which overlooks the pool, as well as a sauna, full bath and elevator access.